Canadadrugstop.com: How Safe Are You When Ordering from the Store? Canadadrugstop.com opened their doors in 2003. They claim that the store was established in order to provide their customers with medications that they can afford and even give them the chance to save over 90% on their meds. They claim that they have managed to serve hundreds of thousands of people but they do not provide the specific number of people that they have already served. The store offers both prescription and over the counter drugs. They offer both brand and generic drugs. The drugs that they sell originate from various countries which include Singapore, the United Kingdom, Turkey, New Zealand, Australia, the United States, Canada, and more. A prescription drug has to be bought every now and then. People who use prescription meds usually depend on them to stay healthy and enjoy life. If you are obtaining your meds from the local stores, your financial life will suffer. Most people are used to getting their prescription refilled in their locally available stores such that they think this is the only place to get the meds at a great price. This is not true. Online, you will be able to save more than 70% of the amount of money that you are currently paying. Shopping for medication drugs on the web is becoming more dangerous day after day. Within a period of 24 hours, there will be 20 more scam drug stores that crop up on the web. These stores are being added to the 35000 stores which are already terrorizing online shoppers. It is for this reason that programs such as CIPA are established in order to help curb this problem. CIPA stands for Canadian International Pharmacy Association. This association has been on the web for approximately one decade and a half since it was established in the year 2002. Getting your drugs online is cheaper than getting the same meds in your local store. But, it is a risky process if you don’t know the exact pharmacy from which your meds should originate. A good store should be able to deliver your drugs without having to force you to wait for a long time due to slow shipping. A legitimate store should deliver the drugs that you ordered and not some fake meds so that they can just take your money. A real store should offer you great customer service and make sure that you are 100% satisfied. Canadiandrugs.com was established back in 2001. This is a pharmacy that the majority of people know as Canada Drugs. The store has been offering their services on the web to people who come from all countries in the world. They have managed to receive and fill more than seven million prescriptions globally for the time that they have been operating. 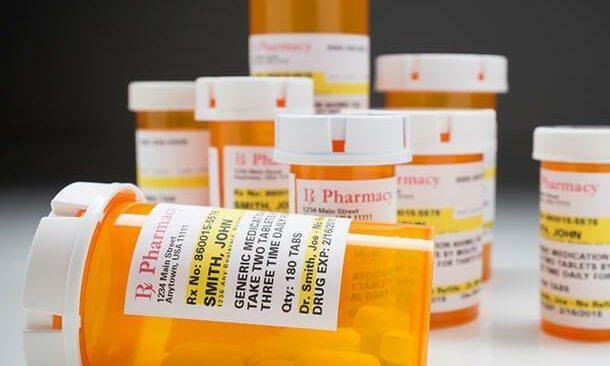 The pharmacy website claims that every one of these prescriptions that they have refilled have been filled at a far much lower price in comparison to what the local stores offer. The internet has over 35000 websites that claim to offer online pharmacy services. Out of all these stores, 90% of them are rogue. MyCanadianPharmacy is one of these rogue stores. According to their website, this store was established in the year 2001. The store claims that they provide outstanding service and value to all their customers, they also claim that they enhance the shopping experience and make sure that the medications are as cheap as possible in order to ensure that their customers can afford them. VIC Pharmacy is a one-stop shop for all medical needs for all kinds of pets and other animals. It supplies various meds for treating different health conditions that are experienced by household pets such as cats and dogs. The categories for the pet medicines that it sells are only limited to 12 categories which are composed of antibiotics, vaccines, cardiac health, wound treatment, respiratory health meds, arthritis, urinary tract infections, feline herpesvirus (HPV), and others. Legit Canadian Pharmacy – Does a Legitimate Canadian Online Shop Exist? Buyers are now shifting to purchasing their supplies online considering the convenience offered by online vendors. Because of this, even patients are now resolving to purchase their medicines online, from stores like Canadian Pharmacy stores, or shops that carry the “Canada” tag on their websites to indicate affordability, even if the stores are not really located in Canada.